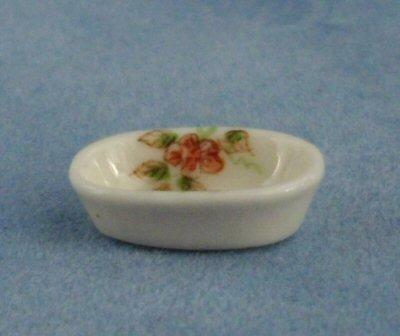 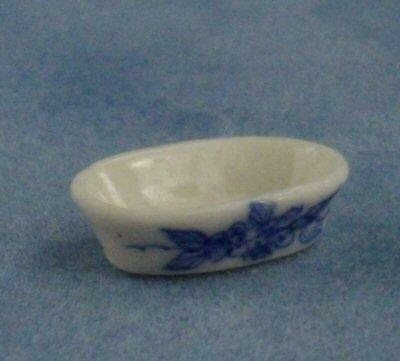 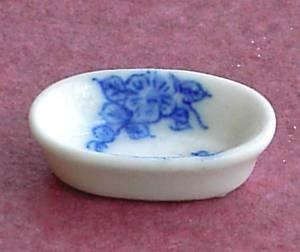 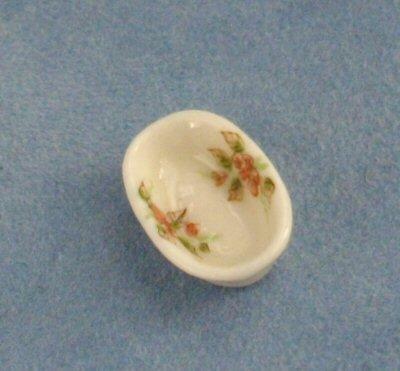 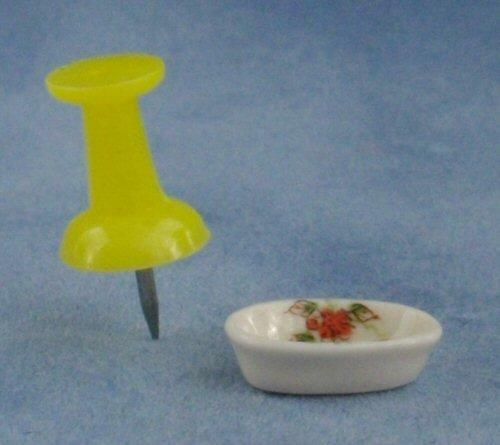 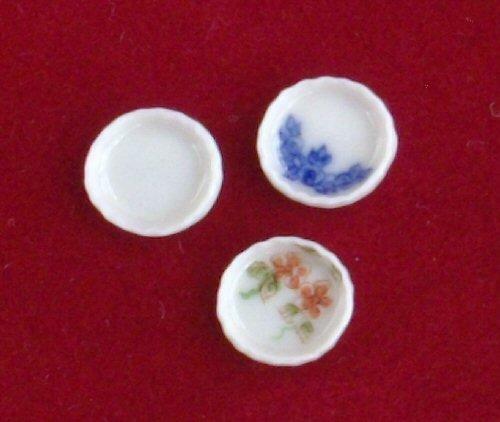 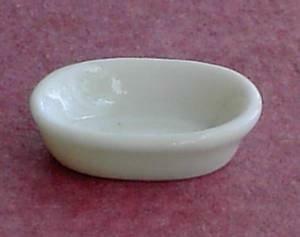 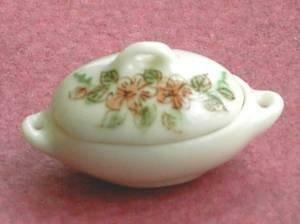 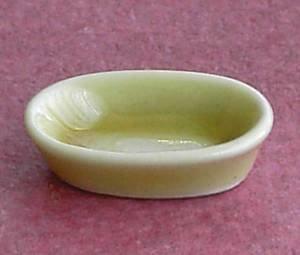 1/24th scale small dolls house oval china pie dish. 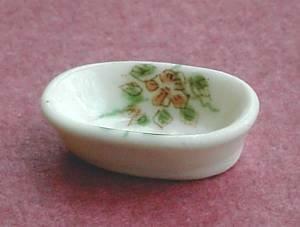 White with floral pattern on the inside. 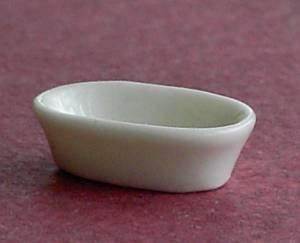 13mm wide.